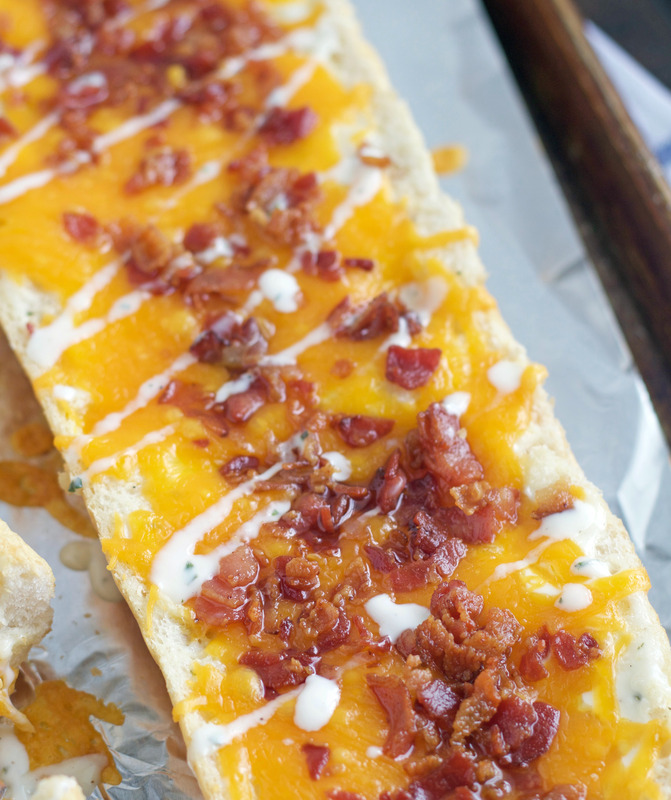 This Bacon Ranch Pizza Bread is a quick, simple and delicious meal. 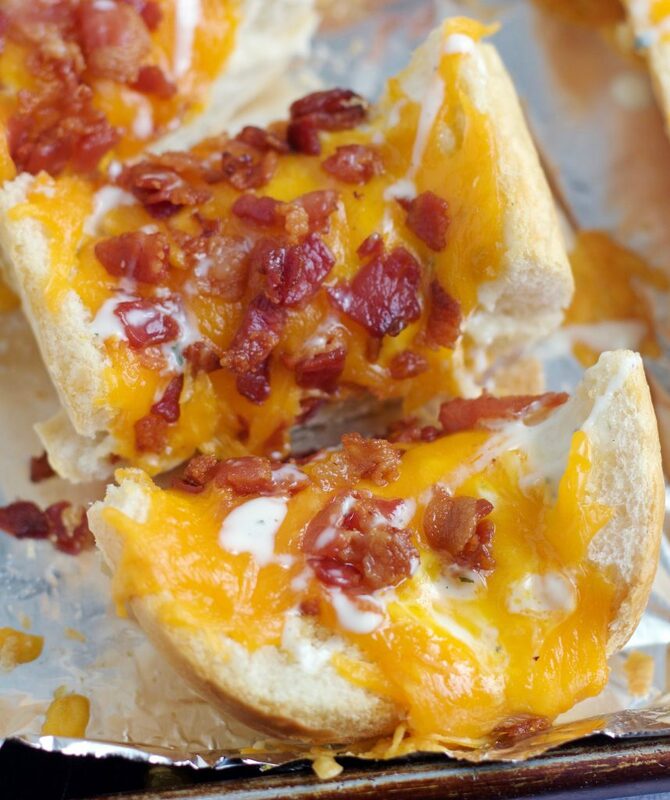 Store bought french bread topped with ranch dressing, grated cheese and crumbled bacon. It’s a family favorite! This Bacon Ranch Pizza Bread has been a long-time favorite of ours. I first posted it over five years ago. I included it in this week’s Meal Plan and quickly realized it was in dire need of new photos and is definitely worthy of being put in the spotlight again. Simple meals like this are kind of like my knight in shining armor. There really is no exact recipe for this. It just starts with a loaf of store bought french bread and then you spread some ranch dressing over the top, sprinkle it generously with grated cheddar or sharp cheese and then top it off with some cooked and crumbled bacon. I never even measure, so in the recipe below I’ve guesstimated the amounts. Feel free to add more or less of something. I usually serve this with a tossed salad and some fresh corn on the cob if I’m making it in the summertime. You absolutely need to make this. Before I let you go, I’m going to let you in on a little secret. . . . I am a huge Donny Osmond fan! Growing up, the Donny & Marie show was one of my favorite shows to watch. I’ve been to their show in Las Vegas and it is seriously phenomenal! I’m so excited because they are performing at the Sandy Amphitheater tonight and I’m going with my mom, sisters and aunt. It’s going to be a blast! Slice the french bread horizontally. 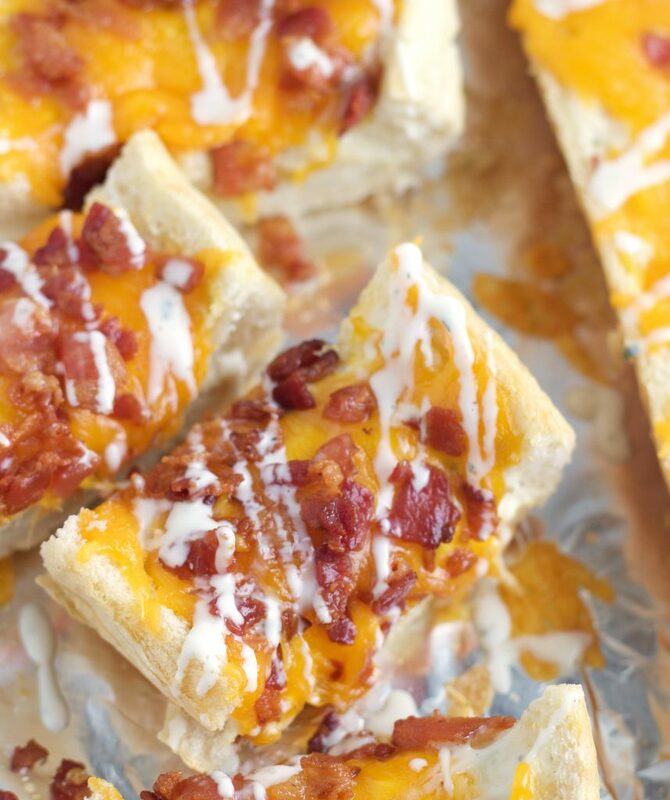 Spread both sides with ranch dressing, cover with grated cheese and sprinkle crumbled bacon on top. 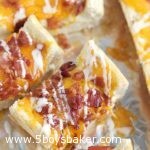 Place on a cookie sheet and cook until bread begins to brown on edges and cheese is melted, about 7-10 minutes . I sometimes use the pre-cooked and crumbled bacon that I buy at Costco, but I usually cook my own by cutting it into small pieces and cooking it in a skillet over medium heat. I cook it until it's just crispy and then transfer it to a paper towel-lined plate using a slotted spoon. I make my own dressing using the Hidden Valley Ranch packets, it's so much better than the bottled store-bought kind. Recipe originally published February 2012; updated with new photos and recipe notes. This looks so yummy and really easy. I love Donny & Marie also–their show was the best. Have fun tonight. Donny still looks like he is 20 years old! Thanks Teresa! I’m so excited to go!